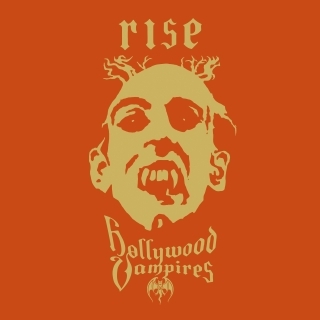 Hollywood Vampire’s second studio album will be released on June 21, 2019. It’s official: Johnny Depp, Joe Perry and Alice Cooper will return on June 21 this year with their second album as Hollywood Vampires. The album is called Rise and will be a 16-track effort from the group, containing mostly original material written by the band itself. The album can be pre-saved here. So, apparently I missed sharing the latest trailer for Johnny’s upcoming movie The Professor with you, which was released two days ago. Shame on me! For those who haven’t seen it yet, I’ll now gladly make good for it. By the way, the official release date has been set to be on May 17 in the United States. Enjoy! On their official Twitter account, Hollywood Vampires shared two new posters to promote their upcoming spring tour, which starts May 10 in Las Vegas, NV. The two posters they shared – and which we already added to our photo gallery, of course – promote their 3rd show in San Francisco, CA on May 12th and their 4th concert in Denver, CO on May 14th. As we already mentioned, the posters have been added to our gallery. Rest in Peace, Jerry Judge! Rest in peace, Jerry Judge, Johnny’s bodyguard and friend for 20 years. We on Johnny Depp Network would like to express our sincerest condolences to Johnny and Mr. Jerry Judge’s family and friends. Today, April 06, 2019 one of Johnny’s close friends and his bodyguard for 20 years, Jerry Judge, has passed away. He was known as the “Life Angel” and was spotted on the red carpet, on movie sets, on tour alongside Johnny and even inspired his own fan page. He also guarded Paul McCartney, Arnold Schwarzenegger, Antonio Banderas and Julia Roberts. 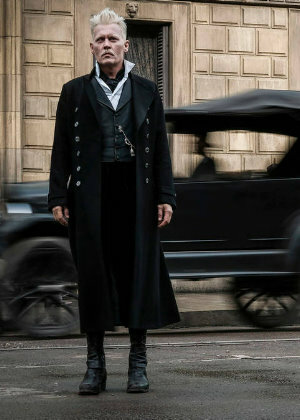 Apart from being on Johnny’s side to ensure his security, he had cameos in several of Johnny’s films including “Sweeney Todd“. He was not only known as Johnny’s bodyguard and security, but mostly a friend and a helping hand on Johnny’s side. THANKS for everything you’ve done for him. We know you’re in a peaceful place now and taken great care of in heaven. Rest in peace, dear Jerry!. We added 14 images to our photo gallery, some found on social media, such as Twitter and Instagram. All credits go to their original owners. Media coach Victoria Mary Clarke (click here to learn about her on her official website) posted two new personal images that show Johnny in the Library of Congress in France. She’s also posted one image during breakfast on the French Riviera (Côte d’Azur) on her Instagram account. The two images have been added to our photo gallery. Yes, last month, on February 4th, the site celebrated 15 years online. 15 years of Johnny Depp Network! FIFTEEN years supporting, celebrating, loving Johnny as much as we can. And hopefully many more to come!!! I would love to say thanks to Martina again for bringing the site into being back then in 2004. 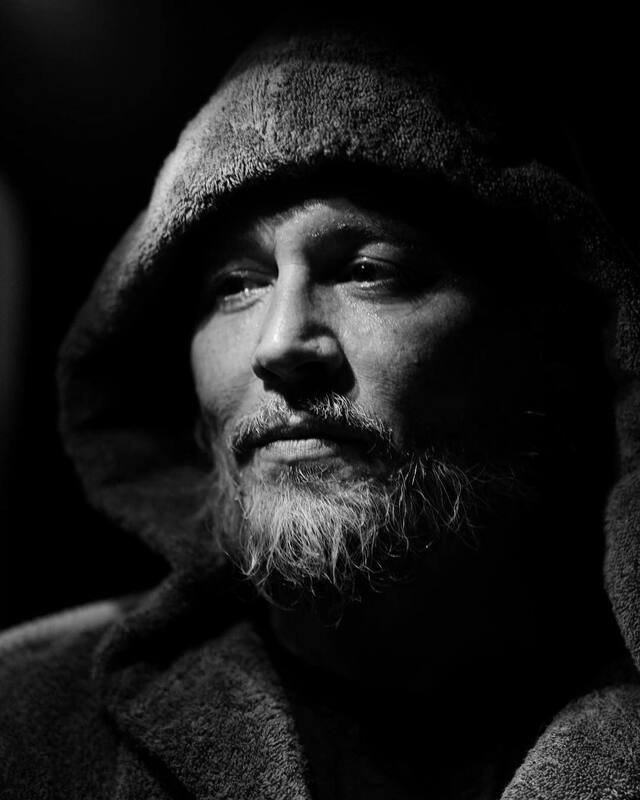 You made it possible for us to have this little piece of Johnny-Universe for admirers to regularly meet up, read on the latest news of Johnny and to support him and his music/movie projects. Of course, a huge thank you also to our regular visitors. To the people who continue believing in Johnny, supporting him and loving him. Thanks to everyone who donates images, news or info every now and then. We’re very honored to have so many helpful hands that make the site what it is. Thanks to everyone who regularly comments on our posts, those who discuss Johnny’s projects, films, music, roles etc. Those who keep sending us feedback on how to improve our website or the news we post. Thanks thanks thanks! I’m currently working on getting the timeline and <="" a="">Instagram feed recently. We’re not only posting news on there (like we do on our Twitter) but also random edited images of Johnny. Feel free to visit us there as well. And again, because it’s just too good to be true: THANKS for wonderful 15 years of johnny-depp.org. RMW Team and the Hollywood Vampires themselves have revealed (on their official Twitter) that this year 2019, two new albums are planned to be released. Super-group The Hollywood Vampires has revealed they are planning on releasing two new albums this year. Alice Cooper has said that the band will be unleashinga live album recorded last year in Europe, as well as their second studio record, comprised of originals sung by Cooper and three covers handled by Joe Perry and Johnny Depp. The link to the original post on their Twitter feed can be found here. We added the photo of Johnny to our photo gallery. Enjoy!